ABEL REYNA: ONE WEEK LEFT | I'm Mad Too, Harry. “Whatcha going to do about that case against your buddy, Kevin Chirafis”? Abel has a good friend, Sammy Citrano, Sammy owns “George’s” , Sammy’s nephew is one Kevin Chirafis, shown below with Abel. Kevin didn’t know the cameras were in the clocks so he got caught at the Rub and Tug and made it to the television. Hmmm. What happened to THAT case? 7 days to dismiss this case AND others. Kevin is Bachelor #6 in the middle with the black shirt. Here’s a little rundown about Abel and Kevin and Sammy Citrano’s “connection”, let’s see if there is equality under the law. Hmmm. Or, will he leave Kevin dangling with Barry? 7 days to find out!! May 3, 2018 – … 41; Elliott Stallings, 44; Matthew Panter, 58; Timothy Comer, 67; Kyle Crow, 53; Kevin Chirafis, 39; and John Bull, 63, and Gary Zacharias, 49. Apr 5, 2018 – Kevin Chirafis turned himself in Wednesday to the sheriff’s office. He is listed as a managing partner on George’s Restaurant’s website. 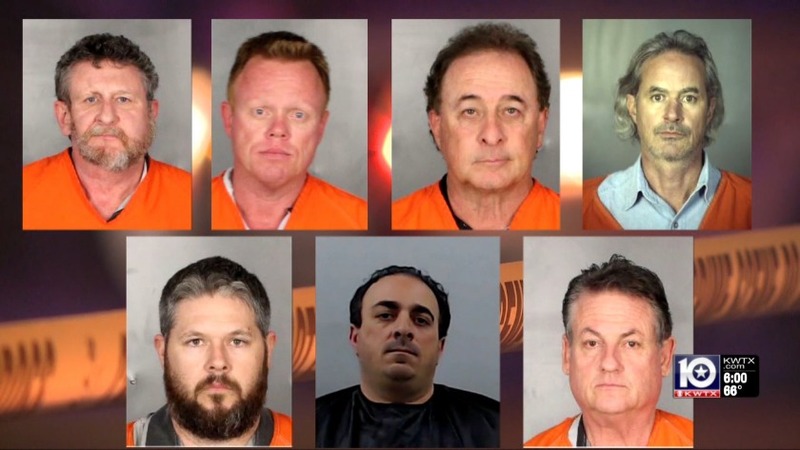 Tags: #Baylor, #court, #cult, #Dentist, #fashion, #george's, #gma, #injustice, #Jodie Foster, #murder, #mystery, #oprah, #skin, #summer, #Texas news, #TIME, #trafficking, #truth, #women, george's waco, kevin chirafis, news, sammy citrano. Bookmark the permalink.